I love that song. Anyway, yeah, so I procrastinated even swatching these for like a month, then finally got them swatched, WEEKS before Christmas, and then I let them sit on my camera, unloved. Blue Year’s Eve, 3 coats. This is the same TYPE of polish as Blue Iguana from the summer collection, but this is much more purple. And I like the shade of this one muuuch better, also. 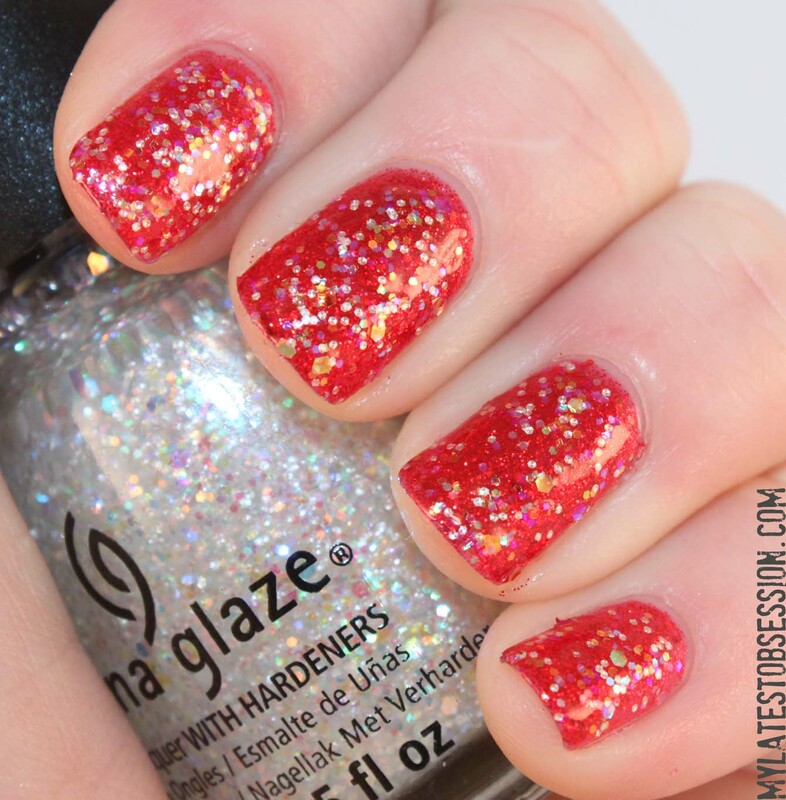 Look at that glitter! I actually quite like this polish. The glitter is strangely bumpy, but I think it jazzes up an otherwise kinda boring polish. In pictures, the glitter shows up at just dark dots, but it’s actually quite sparkly. This is a polish that just isn’t very photogenic, I think. Very nice. Very close to Emerald Sparkle, but darker. A creamy, smooth, delicious green. I want to describe it as “dark,” but it’s totally not. 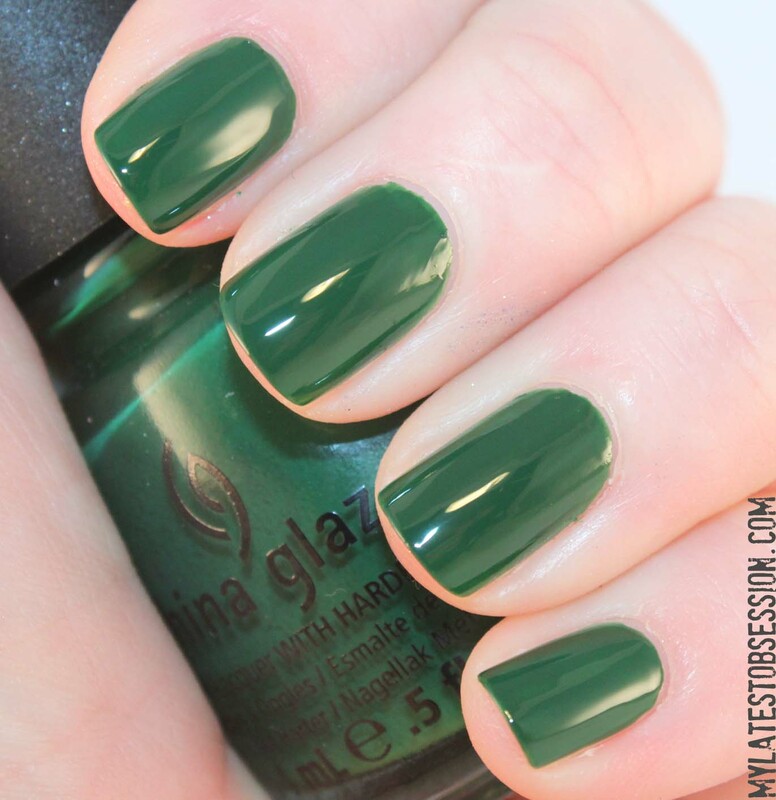 But it is a little darker than any of the other green cremes I own. Eh. This is just a standard silver foil, and not one of my favorites. 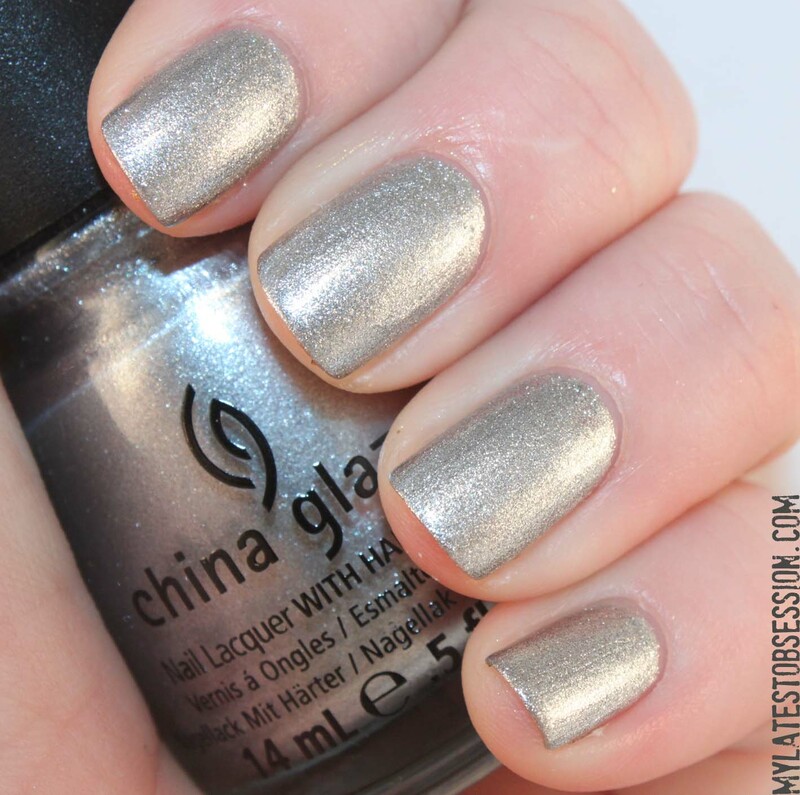 3 coats is too many for a silver foil. ChG Millennium is totally better. And here’s the first of the reds. Bright and red, what else can be said? 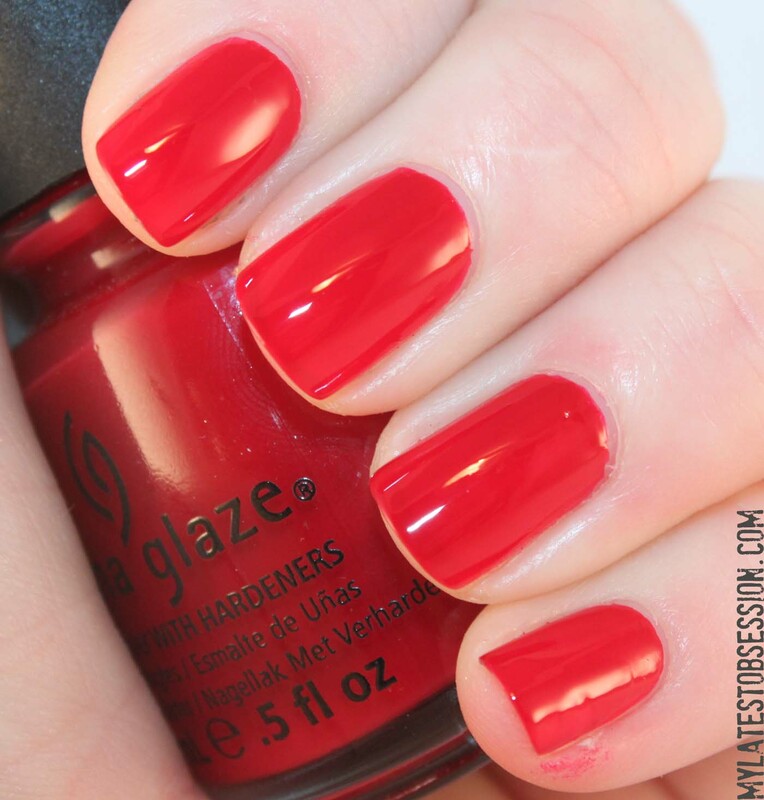 Ring In The Red,2 coats. I HATE this one. It looks NOTHING like the awesome Ruby Pumps. The glitter is chunky instead of being smooth. 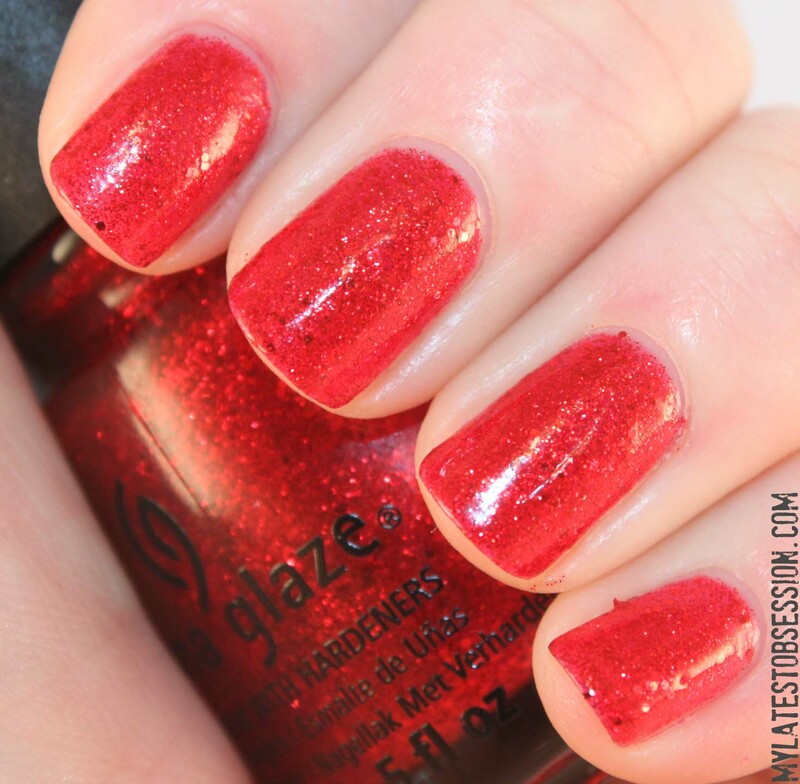 I do enjoy the larger hex glitter, but really I think this one’s just too similar in theory to Ruby Pumps and so I can’t help comparing it and it just falls short. I thought this one looked sort of boring in the bottle, but it’s now one of my favorites. 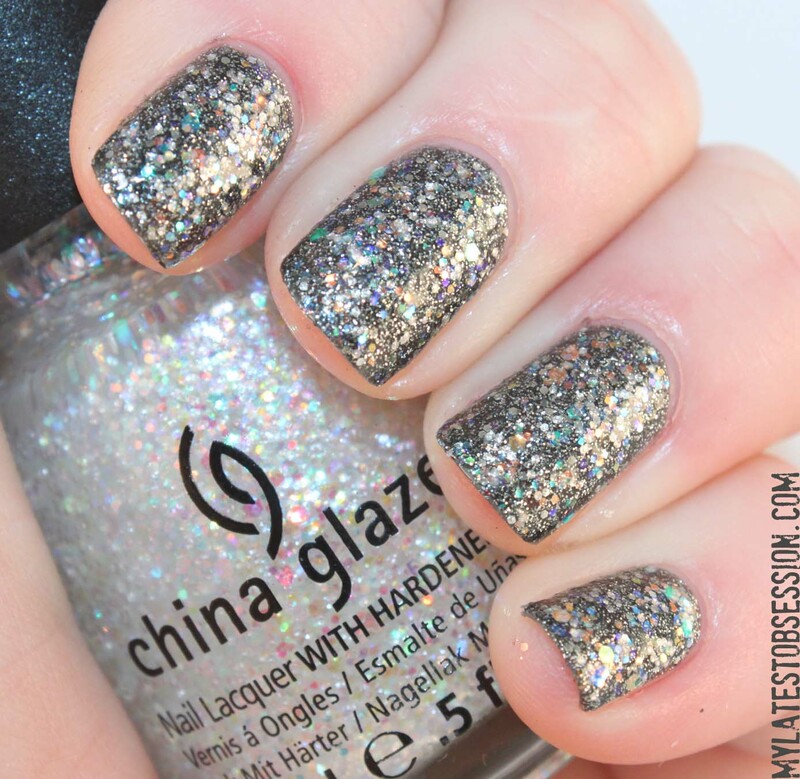 Hex glitter and normal glitter, very opaque, I love it! This is another that is sort of a cousin to last year’s Party Hearty, but they’re actually very different. Still, I can’t help comparing them. 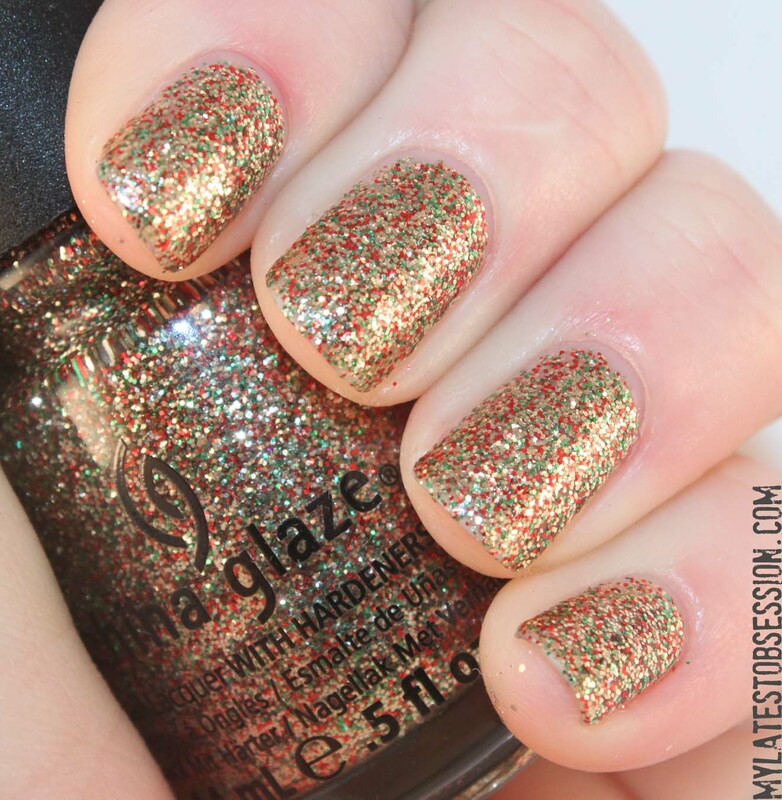 Fine gold, red, and green glitter combine on the nail to make sort of a goldish shade. This is extremely close to my beloved Ravishing, Dahling, it’s maybe a little more red and less brown. I found it difficult to get this to apply evenly. I never know how to describe reds. It’s…red. It’s bright. 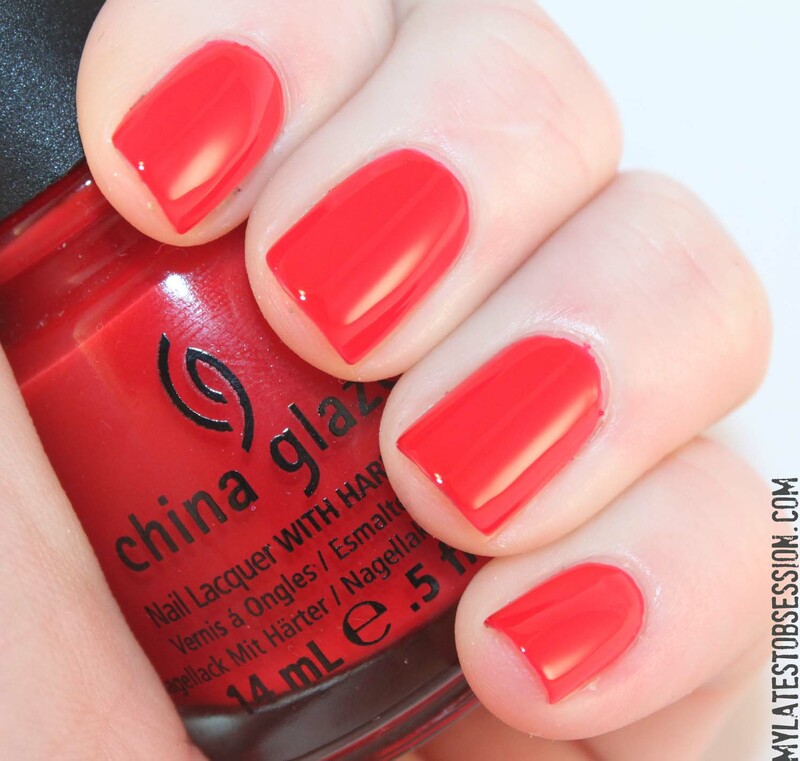 There’s nothing wrong with it, and it’s not even that I don’t like red polishes, I just have a hard time describing them. Snow Globe, 1 coat over Velvet Bow. I tried Snow Globe over several different polishes. I don’t think it’s very photogenic though…I liked these in person, not so much in pictures. It’s very sparkly and throws off a lot of colors. 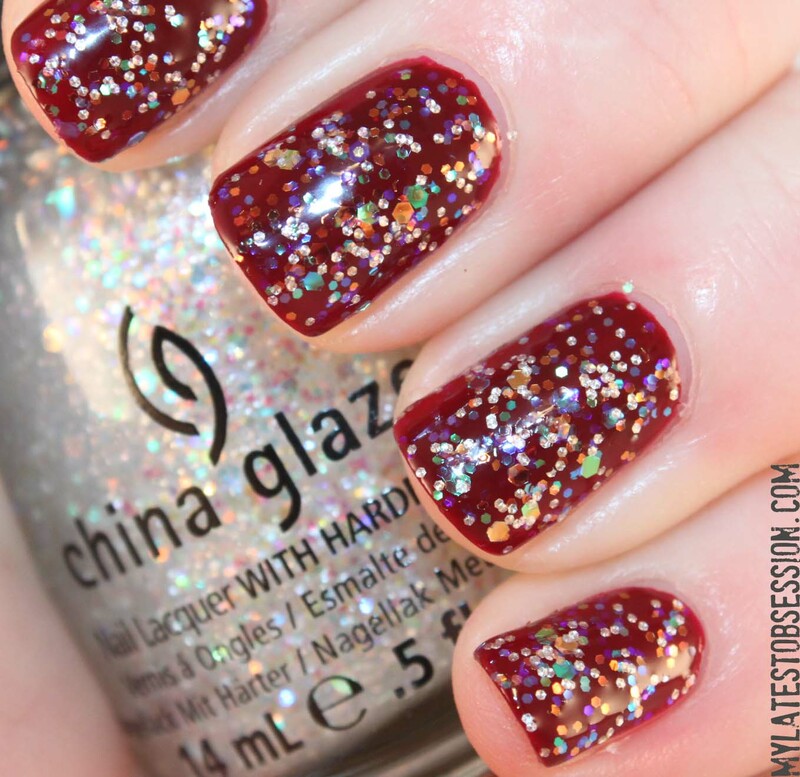 1 coat over Tinsel Town. 1 coat over Ring In The Red.